Images of the World War 2 German railway 'plattformwagen' show specific markings on the sides of the wagon. Does anyone know the significance of these markings? ... in particular, the four items arranged in pairs around the central point of the side panel (hard to describe, but vaguely resembling a crab's claws, or an open adjustable spanner). You will note, there is a vertical bar at the centerline of the car. The bars on both sides of the car are retainers to hold a total of eight "poles" or "stakes" that can be fitted into covered stake pockets along the top deck edge on each side the car to help "fence in" the load. The claw shaped markings indicate how these stakes are to be positioned when returned under that bar for storage when not in use. The Sabre kit includes these "stakes" as you can see on the box art shown below. Unfortunately, in real life as so ofter happens, any loose parts are quickly lost or misplaced, hence few photos from the day actually show these items. 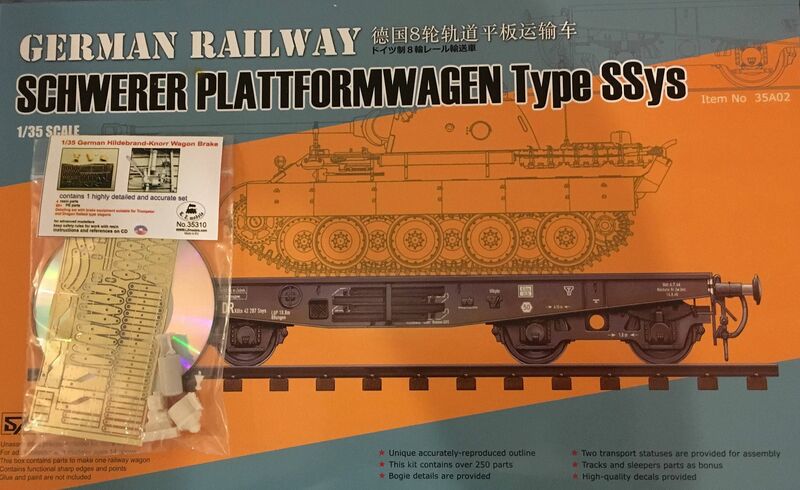 DRB rolling stock sported a good amount of stenciling, no doubt the same basic information as AAR used: loading and weight dimensions; physical dimensions; maintenance information on the air-brake system and journal bearings; built and maintenance dates. 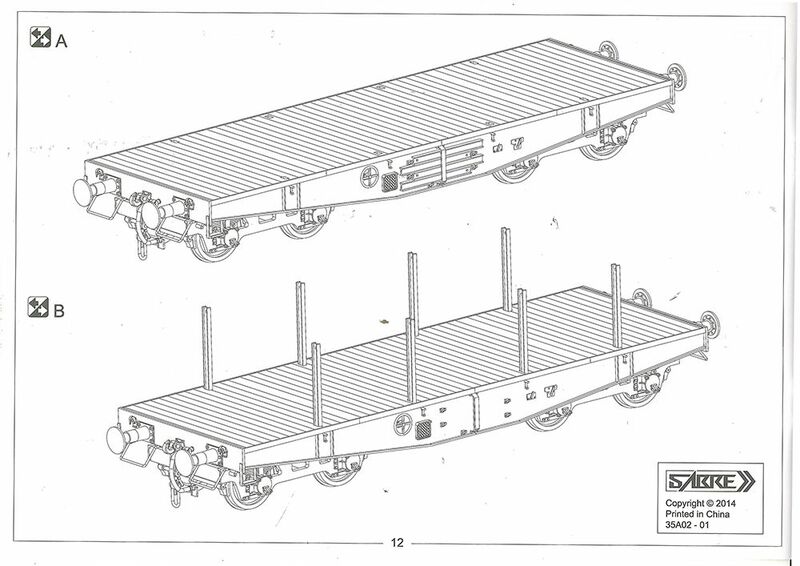 DRB flatcars also has tables painted on them, presumable a loading matrix. "Blaubar" can no doubt answer all of this information.